Your one-week, fat-burning meal plan, plus the 15 best fat-burning foods. 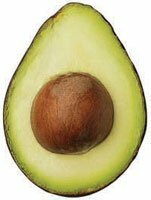 Avocados also contain a very interesting carb called mannoheptulose, a sugar that actually blunts insulin release and enhances calciumabsorption, both of which are critical for encouraging fat loss. This fish is one of the richest sources of the omega-3 essential fats EPA and DHA. Unlikeflaxseeds, which provide a type of omega-3 that has to be converted into EPA and DHA, salmonprovides your body a direct supply of them with no conversion required. Water just may be your best ally in fighting bodyfat. A study from the Scripps Clinic (San Diego, California) reported that subjects eating half of agrapefruit or drinking 8 oz of grapefruit juice three times a day while maintaining their normal diet lost an average of 4 pounds over 12 weeks – and some lost more than 10 pounds without even dieting! 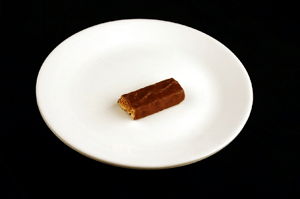 The following plan is designed for a woman weighing 140 pounds. When trying to lose weight during a rigorous exercise program, a good rule of thumb is to shoot for an intake of about 12 calories per pound of bodyweight. 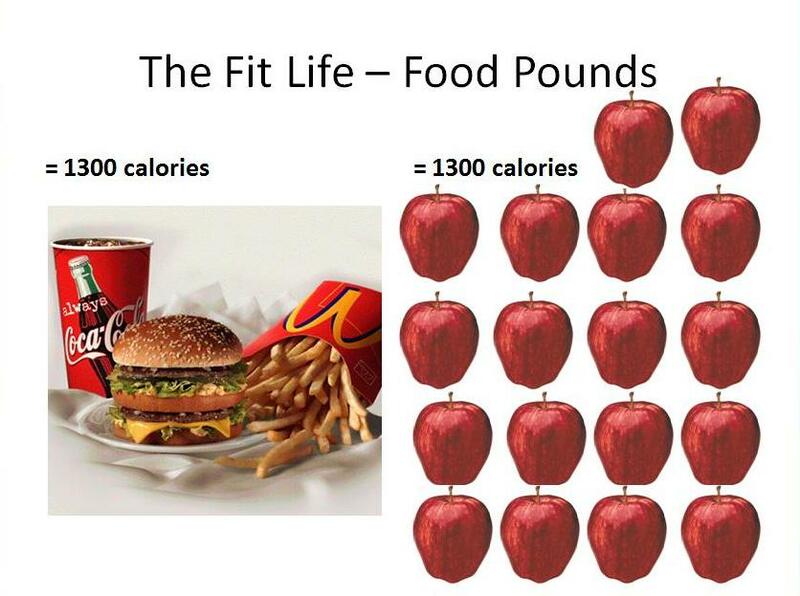 So for a 110-pound woman, total daily calories would be approximately 1,320; for a 150-pound woman, about 1,800. See muscleandfitnesshers.com for your supplements on workout days. dying early compared to never smokers, while those who quit by the age of 40, can cut it by 90%. The most important result of this new study is that the risks posed by smoking are bigger than previous research suggests, and, quitting smoking has a bigger effect on reducing those risks than previously thought. 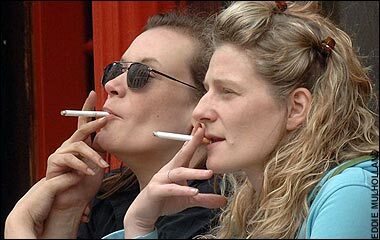 The researchers found that female smokers in the UK die about 10 years earlier on average than never smokers. But by giving up the habit before the age of 40, and preferably well before then, they can cut more than 90% off the risk of losing those 10 years. Their analysis shows that most of the difference between smokers and nonsmokers, as far as cause of death is concerned, is smoking-related. 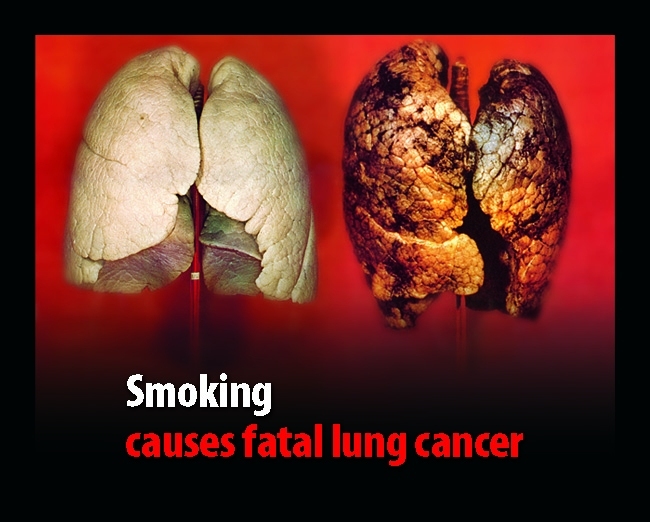 It shows that two-thirds of smokers in the study who died in their 50s, 60s, and 70s, did so as a result of a smoking-related disease such as lung cancer, chronic lung disease, heart disease, and stroke. But women who quit by the age of 30 avoided 97% of the increased risk of smoking-related premature death. Release of the study coincides with the centenary of the birth of Sir Richard Doll, renowned epidemiologist and an early pioneer of research linking smoking to lung cancer. He died in 2005 aged 92, and was Regius Professor of Medicine at Oxford University from 1969 to 1979. Many of the researchers involved in this latest study worked with Doll and have continued building on the methods he developed in using large epidemiological studies and randomized trials in medical research. The Million Women Study recruited 1.3 million women in the UK aged 50 to 65 over the period 1996 to 2001. On entry to the prospective study, they completed a detailed survey of their smoking status, lifestyle, medical conditions and social factors, and then again three years later. On enrollment to the study, 20% of participants were current smokers, 28% were former smokers, and 52% had never smoked. Then for an average of 12 years after enrollment, the researchers used NHS records to find out which of the participants died and the cause of death. 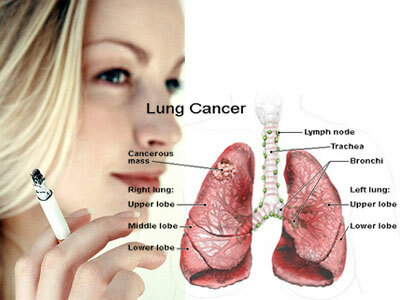 per day) had double the risk of dying in the following 9 years as nonsmokers. Source: Copyright 2005-2012, WebMD, Inc. Try healthy eats that help fight diabetes, heart disease, migraines and more. Did you know that falling asleep easier, preventing PMS and easing the aches and pains of arthritis could be as easy as stocking your kitchen with the right foods? Take 47-year-old Sarah. When I first met her, she was 50 pounds overweight and had high cholesterol, high blood pressure and diabetes. Together we created a plan that incorporated the best foods into her diet. After just three months, Sarah’s cholesterol dropped by 60 points and she had lost 30 pounds. Even better, she was able to say goodbye to her diabetes and blood pressure meds! Another client, Eleanor, had long suffered from debilitating migraines. But within two weeks of adding 1 to 2 cups of spinach to her diet daily and eliminating trigger foods (like cheese and wine), she saw a dramatic improvement. These are just two stories that inspired my book, “Joy Bauer’s Food Cures,” which shows how you can radically improve your health with some simple nutrition upgrades. Obviously food can’t always take the place of medication, but it can be a part of your better-health solution. Here, some of my best findings. Dig in! Why it’s good: This spicy root contains compounds that work similarly to some anti-inflammatory medications. However, ginger can also act as a blood thinner, so if you’re taking a blood-thinning medication, ask your doctor if it’s safe to eat ginger. Eat up! Ideally you want to get a hit of ginger every single day. Steep a few slices of the root in hot water to make tea, grate it into stir-fries or add ground ginger to smoothies. Why it’s good: Research has shown that certain antioxidants may help prevent arthritis, slow its progression and relieve pain by reducing inflammation associated with this condition. And pumpkin’s bright-orange hue is a clue that it’s rich in two of these antioxidants: beta-carotene and beta-cryptoxanthin. In fact, researchers from the UK found that people whose diets were high in beta-cryptoxanthin were half as likely to develop a form of inflammatory arthritis as those who ate very foods containing it. Eat up! Try to eat one can of 100 percent pure pumpkin purée (not pumpkin pie filling!) every week. I make a “pudding” by stirring a dollop of pumpkin purée into vanilla yogurt along with a dash of cinnamon. You can also add a scoop of the puree to ground turkey meat sauce, taco filling or chili (the puree doesn’t altar the taste). Why it’s good: Red bell peppers contain an impressive amount of inflammation-fighting carotenoids, but they also have more than 250 percent of the daily recommended amount of vitamin C. Research suggest that people who eat a diet low in vitamin C may be at greater risk for developing certain kinds of arthritis. Eat up! Aim to have three red bell peppers a week. Mix pepper with cucumber, chickpeas and feta for a quick and easy lunch. Eat up! Have beans as often as you can. Protein-rich beans and lentils are a smarter side dish than carb-filled pasta, rice or potatoes. Turn chickpeas (garbanzo beans) into a crunchy snack. Pat cooked beans dry, sprinkle with paprika, cumin or other spices, and roast in a 400°F oven for 20 to 25 minutes or until lightly browned and crunchy. Why they’re good: Egg whites are the perfect base for a diabetes-friendly meal because they’re low-calorie (17 calories apiece) and rich in high-quality protein, so they can help keep your weight and blood sugar level on an even keel. And they’re cholesterol-free, since all the cholesterol is in the yolk. Eat up! Aim to have at least three or four egg-based meals a week. An omelet with 4 egg whites (or 1 whole egg plus 2 or 3 egg whites), plenty of vegetables and some reduced-fat cheese for breakfast will set you up for a day of even-keeled blood sugar. Why they’re good: Nuts — all types, including peanuts, walnuts, pistachios, pecans and cashews — are primarily composed of heart-healthy fats and protein, two ingredients that keep blood sugar stable by slowing down the rate at which your body absorbs carbohydrates. Nuts also contain monounsaturated fat and, in some cases, omega-3s, both of which improve cholesterol and triglyceride levels. Since having type 2 diabetes also puts you at a higher risk for heart disease, nuts are a win-win. Eat up! Snack on an ounce (one small handful) of your favorite nut daily — they all contain healthy fats. Why it’s good: Studies have found that women with PMS have lower levels of calcium around ovulation than women who don’t experience PMS symptoms, so amping up your intake of cheese and other dairy products is worth a shot if you’re prone to cramps and mood swings. Eat up! Make sure you’re getting at least the recommended amount of calcium daily — experts say only 10 percent of us are getting it through diet alone! Women younger than 50 need 1,000 mg; if you’re 50 or older, 1,200 mg. 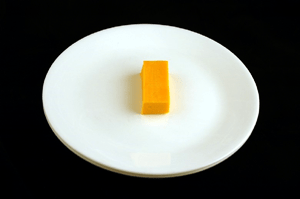 Aim for three servings of calcium-rich foods like cheese and yogurt daily; women older than 50 should tack on a fourth serving. If you don’t think that’s possible, talk to your doctor about taking a calcium supplement. Why it’s good: This fruit has three things going for it. First, it’s one of the best sources of manganese, and one study found that women with low manganese intakes were more likely to experience premenstrual mood swings, breast tenderness and cramping. Second, pineapple and other water-rich fruits and vegetables (think berries, citrus fruits, melon, cucumbers, bell peppers) can help banish bloat associated with your monthly cycle because their high water content helps flush out excess fluid. Lastly, deliciously sweet pineapple is a healthy way to indulge sugar cravings, which often intensify as your period approaches. Eat up! In the seven to 10 days leading up to your period, have 1 cup of fresh pineapple daily. If it’s too expensive or underripe, see if your store carries frozen chunks or canned pineapple packed in 100 percent juice. Why they’re good: Almonds are an excellent source of magnesium, another mineral that may provide some PMS relief. Studies have found that magnesium — in addition to helping relieve PMS headaches — can improve mood and lessen water retention in the week or two before you get your period. Eat up! Enjoy an ounce of almonds (about 22 nuts) a day, and enrich your diet with other magnesium-rich foods like quinoa, pumpkin and sunflower seeds, dark leafy greens, edamame and green beans. 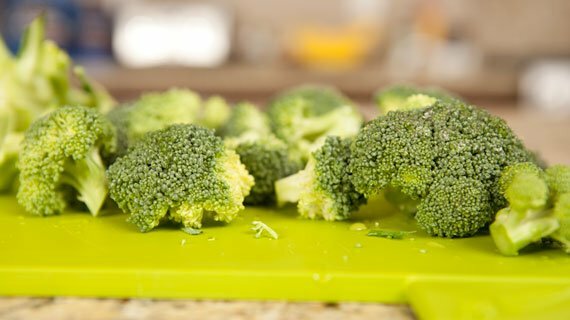 Why it’s good: Broccoli gives you four bone-building nutrients in one convenient package: vitamins C and K, potassium and some calcium. Studies have found that getting enough of vitamins C and K is linked to having high bone density. Potassium (and other compounds found in produce) may reduce bone loss by acting as a buffer against metabolic acids, which some studies suggest contribute to the breakdown of bone tissue. Eat up! 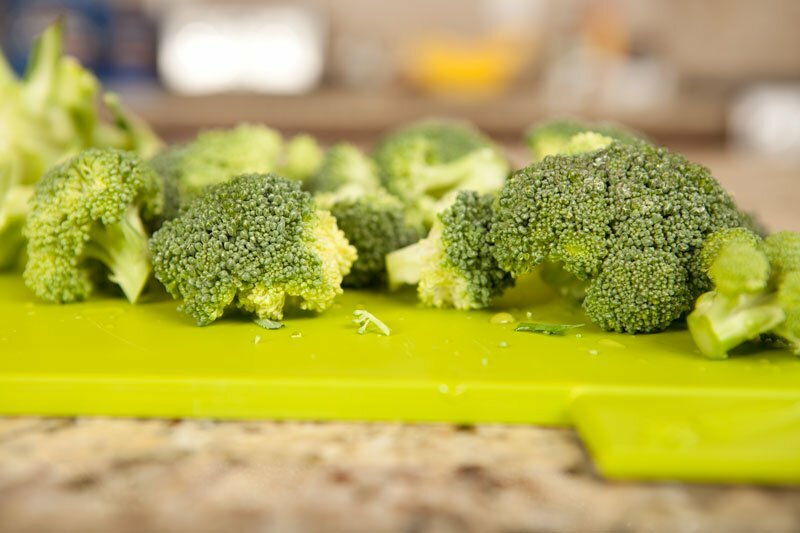 Serve broccoli at least three times a week, and if you need extra incentive to dig in, sprinkle your florets with a bit of grated cheese (which adds more calcium!). Why it’s good: Skim milk is an obvious choice for strong bones, since 1 cup contains 300 mg of calcium — about a third of the daily recommended amount. Eat up! Work it into your daily diet by making oatmeal with a cup of skim milk instead of water, including 1 cup in a fruit smoothie, or having a mug of low-fat cocoa made with 1 cup of nonfat milk. Feel free to substitute soy or almond milk (as long as the carton says it’s fortified with calcium). Why it’s good: If you don’t get enough calcium in your diet your body will start “borrowing” what it needs from the calcium stored in your bones. What’s great about yogurt is that it’s a good source of calcium and protein — and both are necessary for bone strength. Studies show that people who don’t get enough protein have lower bone density. Eat up! Opt for Greek varieties over traditional yogurt to get twice as much protein (and go for non-fat). 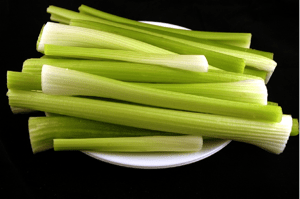 Why it’s good: It’s rich in soluble fiber, which latches on to cholesterol compounds and helps carry them out of your body. Research shows that people who eat an average of 2.5 servings of whole grains (like oats) daily have a 21 percent lower risk of cardiovascular events such as heart attack and stroke than people who hardly eat any. Eat up! Enjoy oatmeal at least three times a week, and spruce it up with berries, nuts, dried apricots, even peanut butter. Why it’s good: Sweet potatoes deliver more heart-healthy fiber than their white cousins, along with a hefty dose of potassium, a mineral that helps offset sodium’s negative effect on blood pressure. Eat up! Try to eat at least two of these spuds a week. I like to mash them with a drop of skim milk, a pat of whipped butter and a bit of cinnamon. Why it’s good: Wild salmon is one of the most concentrated sources of omega-3 fats, which can help lower triglycerides, raise levels of HDL (“good”) cholesterol, and help reduce inflammation in the body — a factor that’s been linked to an increased risk of diabetes as well as heart disease. What’s more, numerous studies have found that people whose diets are high in omega-3s have a substantially lower risk of coronary heart disease, as well as sudden death from arrhythmia (an irregular heartbeat). Eat up! Aim to eat salmon at least twice a week. Although wild and farmed salmon contain similar levels of omega-3s, wild is lower in contaminants and has as much as four times the amount of vitamin D. But wild salmon is more expensive and not as widely available as farmed. If you can’t make room for it in your budget, you’re better off eating farmed salmon than going without it completely. Why it’s good: Magnesium deficiency has been linked to migraines, and 1 cup of whole grain quinoa, a protein-rich seed, provides 30 percent of the daily recommended amount of magnesium. Getting enough of this mineral seems to be particularly helpful in preventing menstrual migraines. Eat up! 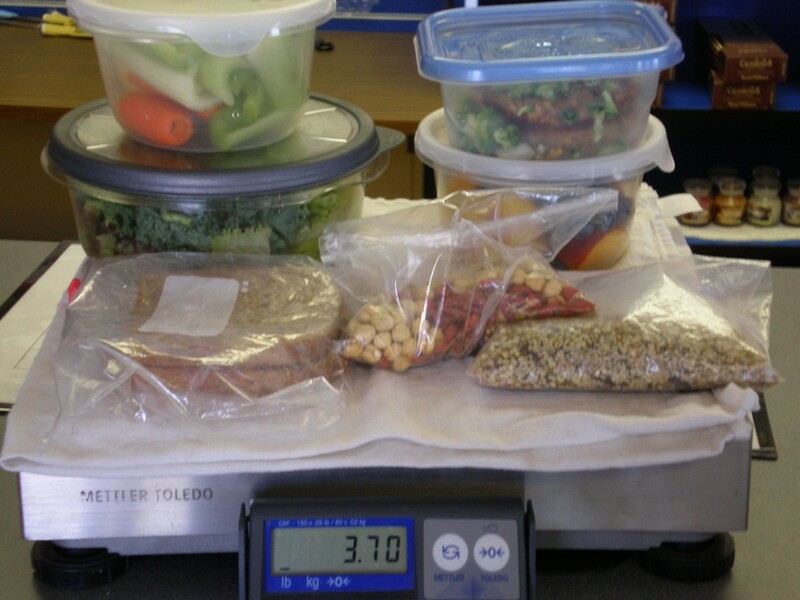 Have a helping at least three times a week in place of rice, pasta or other starches. Turn quinoa into a pilaf with chopped carrots, enjoy it as a hot cereal (like oatmeal), or use it as a base for a stir-fry or chili. Why it’s good: Studies have shown that omega-3s — found in high amounts in flaxseeds — can help reduce the frequency, duration and severity of headaches, probably by reducing inflammation. Eat up! Add a tablespoon a day to yogurt, oatmeal, cereal or smoothies. You can also mix ground flaxseed into meatballs or combine with whole-wheat bread crumbs for a crispy coating for baked chicken tenders. Why it’s good: Spinach contains a good amount of magnesium as well as riboflavin, a B vitamin that may help reduce headache frequency and severity. Eat up! Squeeze in at least three servings of spinach a week, and try to get more of other riboflavin-rich foods like lean beef, whole-grain cereals, mushrooms and asparagus. Also, speak to your doctor about whether riboflavin supplements might help. The appendix may not be useless after all. The worm-shaped structure found near the junction of the small and large intestines evolved 32 times among mammals, according to a new study. The finding adds weight to the idea that the appendix helps protect our beneficial gut bacteria when a serious infection strikes. Charles Darwin was one of the first scientists to theorize on the function of the appendix, which in his day had been identified only in humans and other great apes. He hypothesized that the distant ancestors of these animals survived on a diet of leaves, and so they required a large cecum, a portion of the gut that houses bacteria that can break down stubborn plant tissue. Later, he speculated, these ancestors shifted to a largely fruit-based diet that was easier to digest. A large cecum was no longer necessary, and it began to shrink; today our cecum is tiny. Darwin thought the appendix, which juts off of the cecum, is one of its former folds that shriveled up as the cecum shrank. Consequently, he thought it carried no function. But some scientists have challenged the idea that the appendix serves no purpose. It’s been clear for about a century that the structure contains a particular type of tissue belonging to the lymphatic system. This system carries the white blood cells that help fight infections. Within the last decade, research has shown that this lymphatic tissue encourages the growth of some kinds of beneficial gut bacteria. What’s more, careful anatomical study of other mammals has revealed that species as diverse as beavers, koalas, and porcupines also have a structure jutting off of their guts in exactly the same place as our appendix—in other words, the feature is much more common among mammals than once thought. 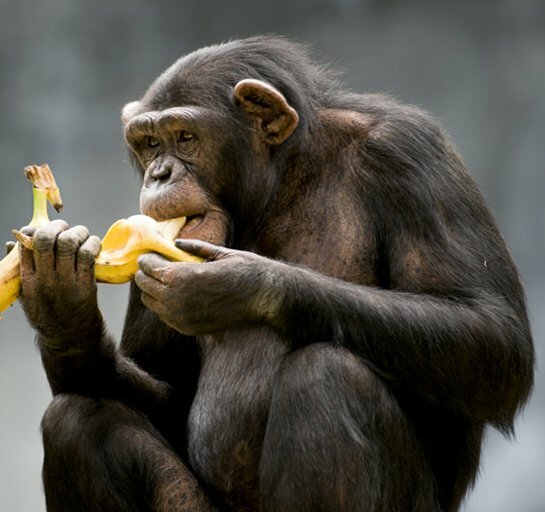 The appendix is traditionally seen as a portion of the gut that withered when apes began eating fruit. Now, an international team of researchers that includes Heather F. Smith, an evolutionary biologist at Midwestern University in Glendale, Arizona, and William Parker, a surgeon who studies the immune system at Duke University Medical Center in Durham, North Carolina, says it has the strongest evidence yet that the appendix serves a purpose. In a new study, published online this month in Comptes Rendus Palevol, the researchers compiled information on the diets of 361 living mammals, including 50 species now considered to have an appendix, and plotted the data on a mammalian evolutionary tree. They found that the 50 species are scattered so widely across the tree that the structure must have evolved independently at least 32 times, and perhaps as many as 38 times. By plotting the dietary information onto the evolutionary tree, the researchers could work out whether the appendix appears when a particular group of mammals changes its diet. 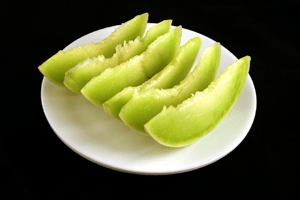 In most cases, there was no sign of a dietary shift, suggesting appendix evolution doesn’t necessarily proceed as Darwin thought. He may have correctly identified the origin of the ape appendix, though, which the analysis confirms did appear when our ancestors switched diets. “I agree with the general assertion that the appendix evolved numerous times in mammals, but I think the exact count is still up for debate,” adds Olaf Bininda-Emonds, an evolutionary biologist at the University of Oldenburg in Germany. There is some uncertainty over whether all 50 species considered to have an appendix really do possess one. When just the clear-cut cases are included, the appendix evolved 18 times, he says. Even that figure suggests the appendix performs a useful function, and the hunt is now on to identify what that function is. The research team may already have the answer. In 2007, Parker and his colleagues suggested that the appendix has an immunological role, acting as a “safe house” for beneficial gut bacteria. These bacteria help train the immune system and can prevent diseases by outcompeting dangerous pathogenic bacteria—but there are times when the dangerous microbes gain the upper hand and overrun the gut. The researchers reasoned that when this happens, the beneficial bacteria could retreat to the safety of the appendix, which remains unaffected. Once the immune system has beaten the infection, the beneficial bacteria emerge from the appendix to quickly recolonize the gut. The safe house hypothesis is reasonable, Nesse agrees, but he points out that just 50 of the 361 mammalian species included in the analysis have an appendix. “One wonders why such a trait with such a function would not be universal,” he says. That suggests it is possible we still haven’t completely cracked the mystery of the appendix, he says. First artificial retina approved in U.S. The U.S. Food and Drug Administration has approved first artificial retina. The device is meant to aid people with a disorder called advanced retinitis pigmentosa, a genetic disease that slowly damages cells on the retina that give the eye sensitivity to light. Over time, this reduces the eye’s ability to distinguish light from dark, and eventually leads to blindness. The newly approved artificial retina, dubbed the Argus II system, involves a surgically implanted retina and a pair of eyeglasses with a small video camera and video processor. Images from the video camera are transmitted to the brain through 55 electrodes on the implanted retina, which then translates the images into something the patient can see. The Argus II system was approved in Europe in 2011 and costs about $100,000. The device’s manufacturer hopes to have the artificial retina covered by Medicare and available in the U.S. later this year.